We believe that nursing encompasses caring, commitment, and dedication to meeting the health needs of all people. Health is a state of well being resulting from harmonious interaction of body, mind, spirit, and environment. The purpose of nursing is to help patients achieve their maximum health potential across the life span. Nursing is the largest component of our expanding health professions, providing opportunities for individuals who seek one-on-one relationships with patients to executive positions in the health industry, from mental health nurses to primary care. Nursing practice is achieved through a balance of knowledge, intelligence, confidence, competence, and understanding in professional relationships with individuals, families, groups and communities. The patient is a valued human being to be respected, nurtured, and understood. The patient exists as a holistic being who uses biological, sociocultural, psychological and spiritual dimensions in responding and adapting to a complex changing environmental system. 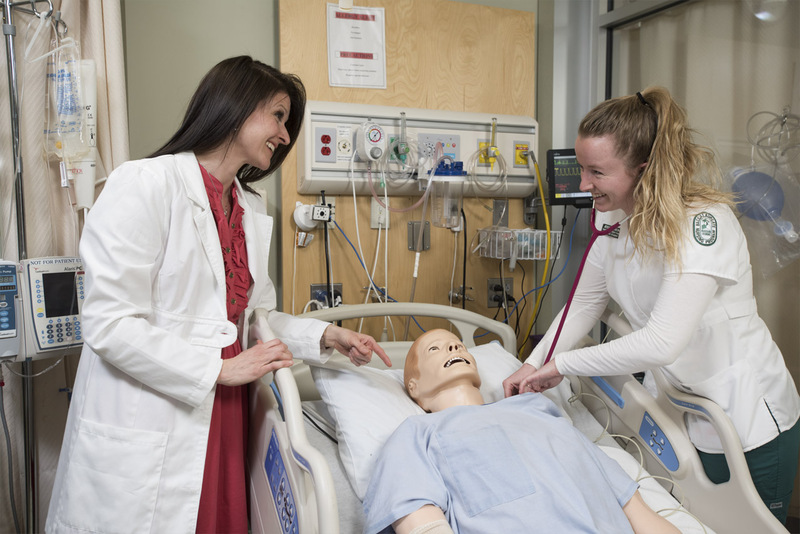 The baccalaureate degree program in nursing and master's degree program in nursing at Husson University is accredited by the Commission on Collegiate Nursing Education, 655 K Street, NW, Suite 750, Washington, DC 20001, 202-887-6791. Post Master's Certificate for students who hold an M.S.N.